The battle to regulate loot boxes in video games has seen different approaches from different jurisdictions up until now. Earlier this week, regulators from 15 European regulatory bodies have banded together to sign a declaration which makes it clear that they are concerned about the grey area in these video games that do not make a clear demarcation about video games and gambling. The regulators identified four specific areas there were of major concern. One such area is skin betting which involves third-party sites that let players bet real money or in-game items for a shot at obtaining better in-game items. 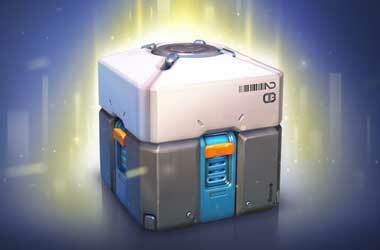 Loot boxes are also on the radar. These are in-game purchases that offer players random rewards. Belgium and the Netherlands are a couple of countries that have already banned them and US lawmakers have been trying to do the same. Many social casinos are also being targeted as they offer players the option to spend real money on betting chips. Big Fish Casino was ruled to be illegal by a US District court and there are several ongoing lawsuits surrounding similar games. On top of all of this, the coalition of regulators is looking at gambling-related content that is often infused in games targeting children. This declaration stands out because of its wide reach. It encompasses several countries in Europe that have over 278 million people living in them. The UK’s presence also stands out as the Gambling Commission ruled in 2017 that loot boxes were not considered gambling because the in-game items that could be won could not be redeemed for real money. Some of the countries who have joined forces to fight gambling in video games include the UK, Ireland, France, Portugal, Netherlands, Spain and Malta. We have joined forces to call on video games companies to address the clear public concern around the risks gambling and some video games can pose to children. We encourage video games companies to work with their gambling regulators and take action now to address those concerns to make sure that consumers, and particularly children, are protected. As of now the coalition has not agreed upon the kind of action they would like to take on video gaming companies that incorporate gambling in their games because gaming regulators will have to work out a new set of regulations for their respective jurisdictions.